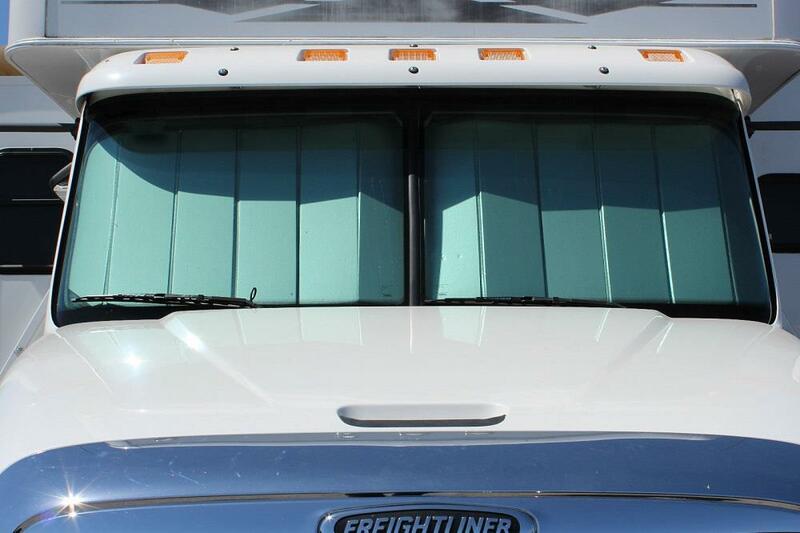 Freightliner Columbia Truck Custom Front Windshield UV Sun Shade UV11271SV, Best Window Sun Shade for Freightliner Columbia - Free Shipping over $99 at California Car Cover Co. Brand: California Car Cover Co. 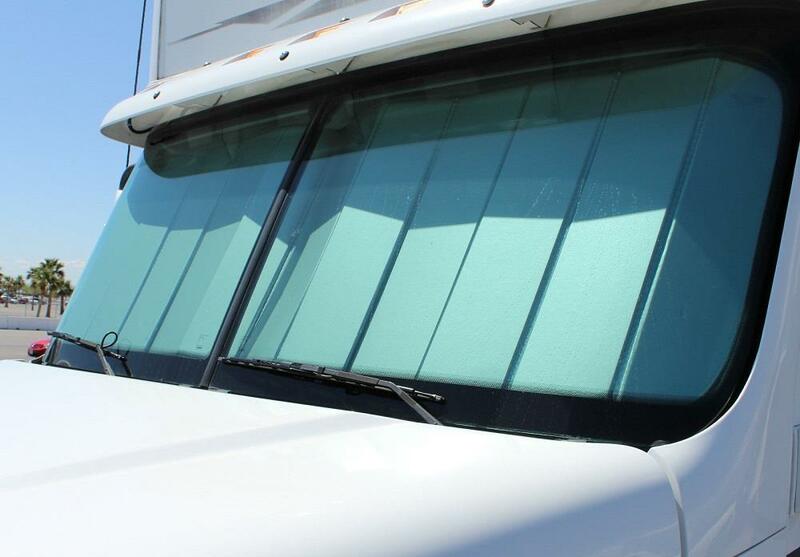 Protect the dashboard and keep the interior of your Freightliner Columbia truck cooler with one of our custom fit sun shades. Drop the inside temperature of your Freightliner up to 40 degrees, protect your dash and upholstery from cracks and discoloration, and ward off steering wheel burn with the UV Interior Car Sun Shield. 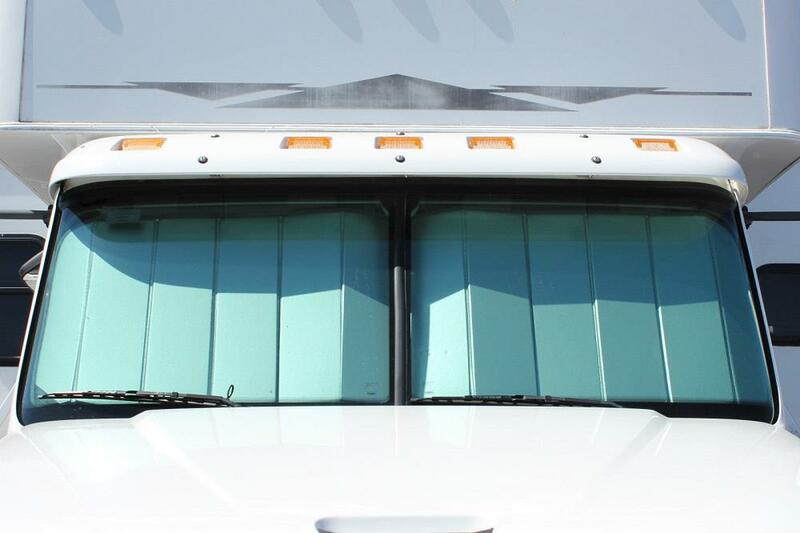 Each sun shade is custom-made in the U.S.A. to fit the outline of your Freightliner Columbia's windshield for optimum blockage of harmful UV rays that can overheat and damage the interior. The triple-layer premium quality material is laminated to an insulating foam-core board and is highly reflective silver on the outside and soft felt inside with felt trim to prevent scratching of surfaces. Just unfold your sun shade shade, position in windshield and fold visors down to keep shield in place. Refold for easy storage in the optional storage bag.